WWE Hall Of Famer Jerry "The King" Lawler taught Becky Lynch how to throw a punch. 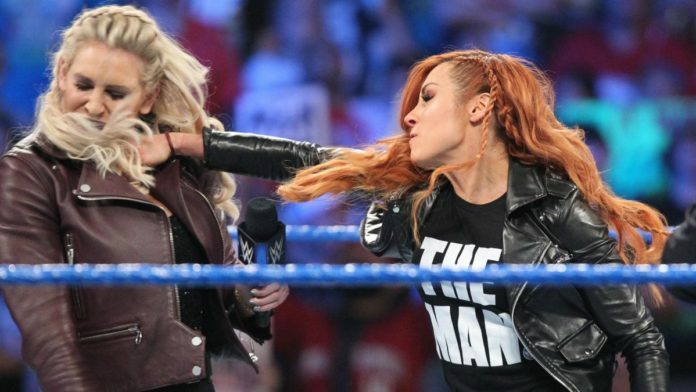 Becky Lynch hit Charlotte Flair with quite a shot this week on SmackDown Live. Fans have WWE Hall Of Famer Jerry “The King” Lawler to thank for that. Lawler revealed on a recent episode of his podcast, “Dinner With The King,” that he gave “The Irish Lass Kicker” on how to throw a good punch. Lawler said he recently ran into Lynch backstage at a WWE event. They’ve exchanged greetings in the past but had never had a real conversation. Lawler said Lynch ran up to him and said she had been binge-watching a lot of “The King.” Lynch said Vince McMahon recently told her that he wanted her to be more physical. She couldn’t think of anyone who throws a better punch in the business than Lawler. Lawler told Lynch he always tried to throw a punch the way someone would really try to hit somebody else. Aiming for their face or nose, and not making your fist so rigid and hard. Then, on this week’s episode of SmackDown Live, Lynch hit Flair with a punch that looked very much like Lawler’s inside the ring. What did you think of Lynch’s punch on Flair this past Tuesday?